The crash also triggered a chain reaction, four other vehicles crumpled into each other. One of them, a truck full of candy. South Porcupine community services officer Const. Marc Depatie to CTV News. He said that passers-by have not been tempted to help themselves to a few extra dollars. ‘We are going to be using magnets and other less sophisticated means of collecting the cargo. 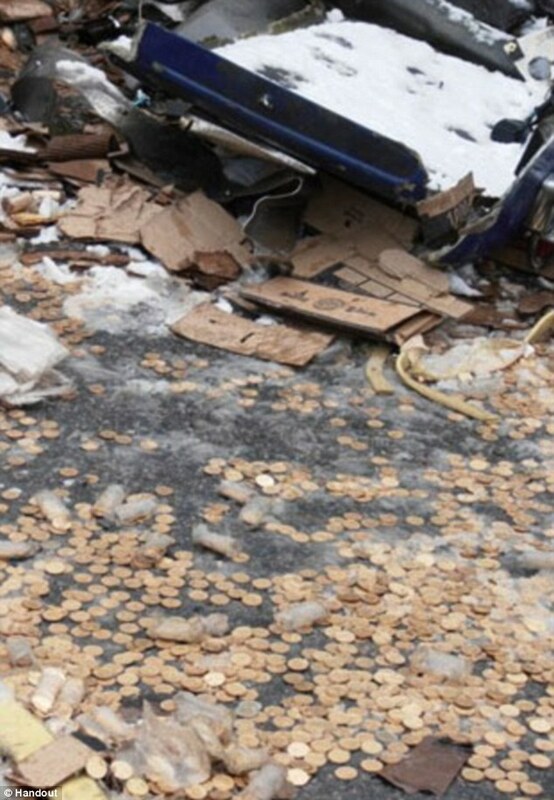 He told cbc.ca that the rock ‘acted as a can opener,’ effectively peeled the side of the truck back, allowing coins to catapult onto the highway.